Liberating Genius at CTA Good Teaching Conference North 2017 | Teacher Geek is Chic! 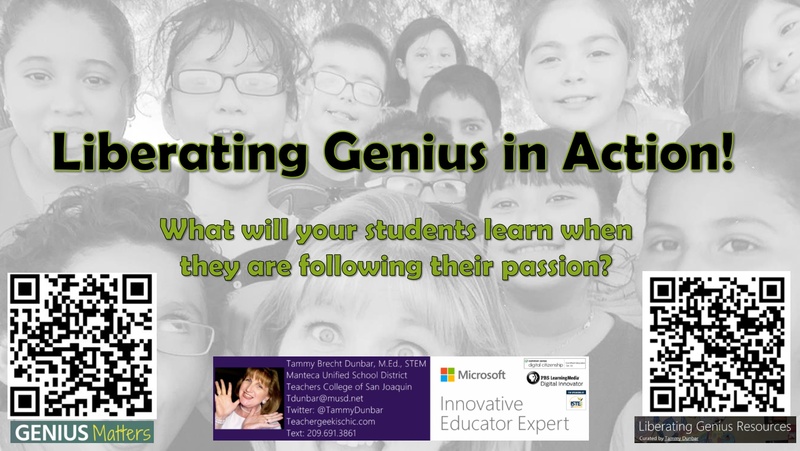 Thank you for joining me for my Bonus Session at The California Teachers Association Good Teaching Conference North 2017 on Liberating Genius! Click on the picture of the CTA Educator story to read the article in the January/February 2017 CTA Educator issue! LiberatingGeniusInAction2017PDF <–Click here to download a PDF of my Teacher Geek is Chic: Liberating Genius in Action presentation! Liberating Genius Resources <—Click here to go to my docs.com page with ALL my resources for Liberating Genius! 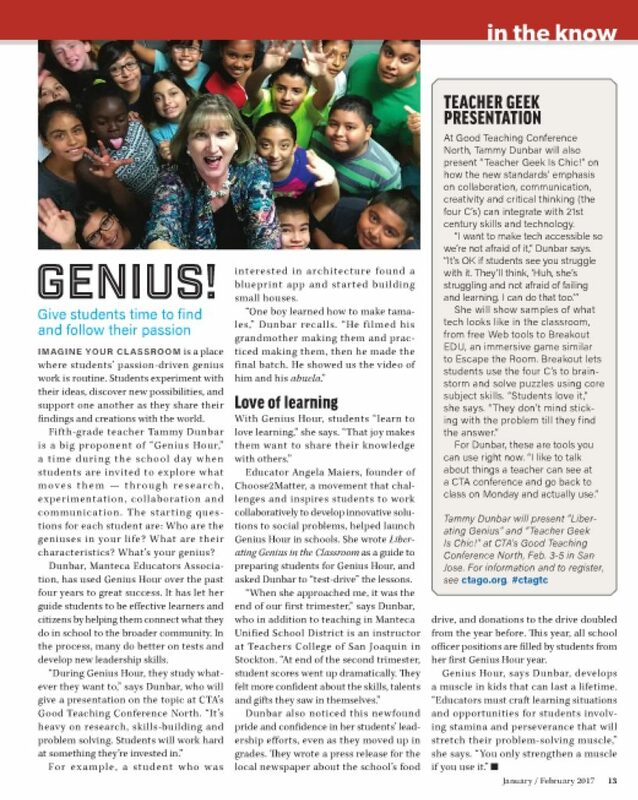 Liberating Genius by Angela Maiers <—Click here to go to Angela’s free book on TES.com!